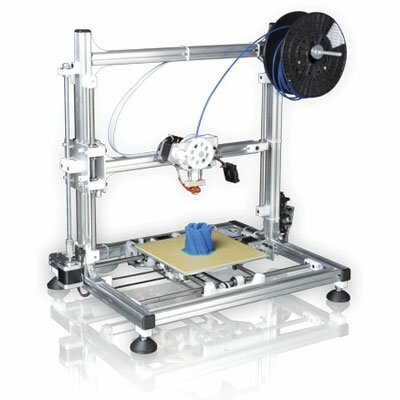 VELLEMAN K8200 3D PRINTER KIT is a build it yourself 3D printer kit to print objects of maximum 20 x 20 x 20 cm using PLA or ABS filament (3 mm plastic wire). It is an extremely fast, reliable and precise printer even when printing at higher speeds. The K8200 is compatible with all free RepRap software and firmware. It is made out of aluminum profiles and is easy to assemble, it leaves room to the user to freely alter the machine and modify it to their liking. The print bed is heated. Power requirements 12 V / 3 A max.